The Village Town Crier is sighted around the Oyingbo market late at night, staring at the busy traders, customers, passers-by, buses and their drivers. Lagos is like a market place where people purchase goods and services. Some buyers could be so lucky while luck may run against others. Some goods are beautiful outwardly while on the inside they are spoilt. Some customers without any level of consciousness about the authenticity of products enter the market and buy the cheapest products that they will forever remain a massive testimony to them. On the other hand, some willing to pay the biggest price for the commodity are overcharged with the worst commodity being sold to them. These are the deep thoughts running through my heart as the Village Town Crier. As the vehicle sirens blow around me, the breeze of the night cool my nerves, as every worker returns home while some set out for their night shifts, I asked myself, what are we really struggling for? Even if we get it, will we ever be satisfied? When you don't have it there is a problem. When you do, there is a problem but you MUST have it. This is like a close shave. Moving forward seems dangerous and uncertain, you can't turn back, you can't even afford to be stagnant. 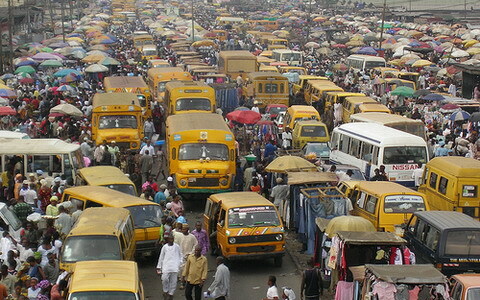 It is from this angle I picture life in Lagos and life in general. Lagos is a place where you realize things are deeper than their outlook. Things are original on the outside and so fake on the inside. Judging companies by the quality of their websites is the easiest way to make a grave mistake. Checking up the activities of the company on the internet could be very misleading especially when some victimized workers are not willing to share any information out of who they are. A lot of people get deceived by the diplomatic statements and goals companies tend to portray on paper as against their belief system in reality. In Lagos, you will see a person standing for an entire company of numerous departments while the company is fictitious. His house is his office. He is the office CEO, Managing Director, Human Resource Personnel, Accountant, Security and logistics officer. He is the office furniture and equipment. Yet when you relate with this person online, he will be like ''We are working on it'' "We will get back to you" Always watch out for the word "WE" This is for the purpose of giving you the impression that he has a progressive team. Nowadays, there is this trend of local companies trying to give an impression of international affiliations like the multinational companies. This is to boost the reputation of the company because Nigerians have the staunch belief that anything foreign is of a good quality while the local ones are inferior. Apart from this, they have a good reputation in terms of better remuneration of workers, mode of operations and working conditions. A lot of young applicants opt for them and let go of better opportunities that may initial not be attractive. As soon as they get inside, they see the concealed ugliness. It hurts to see people that venture into businesses without no practical knowledge of it. No matter your theoretical level of brilliance, you will still realize that some textbook principles may not agree with the realities of the society you have found yourself. Inexperienced Managing Directors now employ workers to do the impossible. They kill the excitement of work in employees. Picture what the famous Cristiano Ronaldo or Lionel Messi will look like as a defender. This may virtually seem impossible but their failure in those positions doesn't make them bad footballers. Their past records speak for them. Working with experienced managers who can study their workers and assign duties in their field to them for a perfect execution is highly necessary. It gives you dignity as a worker compared to when you are assigned tasks randomly like you are not needed. I wish I could be more explicit with this piece but I don't want to be guilty of an act of defamation. I was once excited about a role, only for me and the entire members of staff to locked out at 8:00 am in the morning for being late while the official time was slated for 8:30am. I looked at my life and was like why me and this kind of bosses? My boss was sitting gallantly in the office with his security officer alone. The drama was intensified when the Human Resource Personnel who is one of the high ranking members of the firm walked into to join us. She was left outside with her juniors. The day was scheduled as a major interview day for some applicants. The applicants turned out en masse only to be with her outside. She tried to conceal the truth about the scenario but any smart applicant with investigative instincts would be fully aware there was more to the scene. Lagos is expensive, you leave your house only for a serious reason. Aimless outings are highly discouraged by the transport costs and stress except if the reason why you are leaving far surpasses the costs. The excitement of working that day died in me. I walked pass the ever stagnant gutters of Lagos slowly with the foul smells mocking my mood. Then I remembered the values I read about this same company on their website before I signed up. It was a case of a very ugly monster wearing the ladies' foundation make-up to conceal her looks and then hiding comfortably under the fancy lights of fair darkness. Most men will likely judge the monster by its stature as concealed in tight and body-revealing attire. Under a halogen light, the victim would see clearly but it maybe too late as the harm could have been done. Everybody works in utmost fear as employers believe every worker can always be replaced as long as the financial resources are available. The dignity of labour has been destroyed. Some people toil tearfully till the end of the month with a fear of not being paid or losing the job. The bosses are painted as perfect individuals that are never wrong while the employees take the blames from mistakes made from wrong decisions. On the other hand, the bosses proudly take the praises of the achievements of the employees. This is a system I doubt may never change. I wish I could reveal more despicable incidences on this episode. Whenever I share my stories with friends, they tell me ''Welcome to Lagos!'' Is this really Lagos? Well if this is part of the pains of making it here then one has got no choice than to endure.